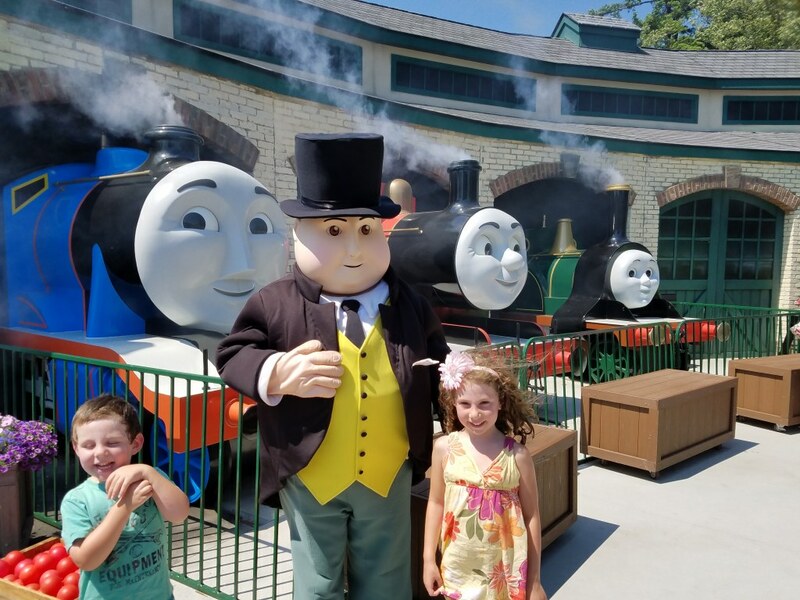 A few years ago we took my daughter to Disneyland to meet the princesses, her heroes. 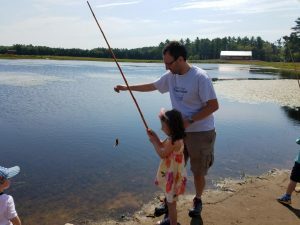 This time, it was my son’s turn. 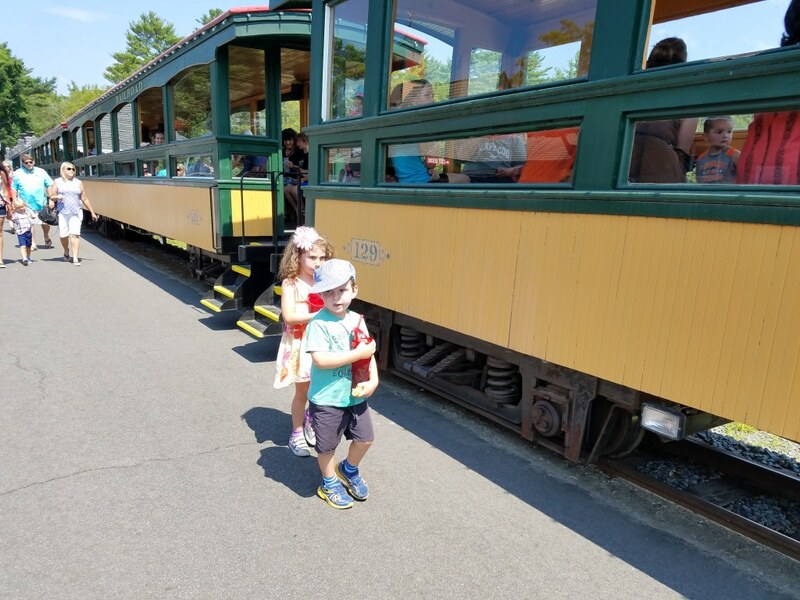 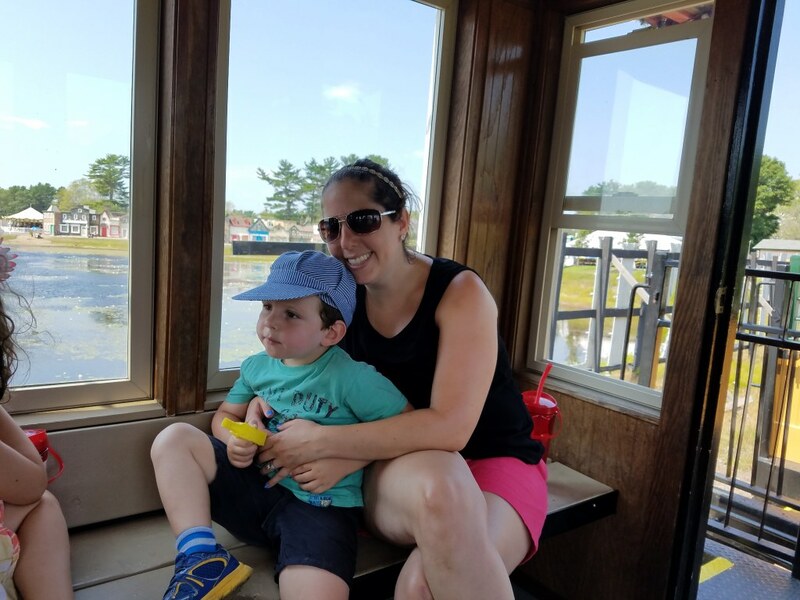 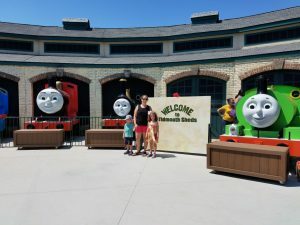 Thomas and friends, dinosaurs and rides galore – this is a little boy’s heaven. My daughter loved it too! 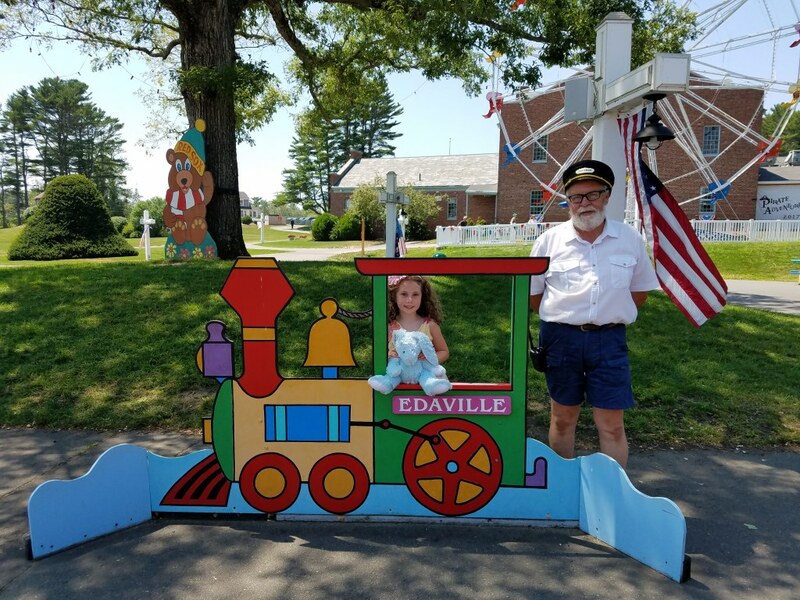 Edaville USA has been around for years and is a pretty standard amusement park. 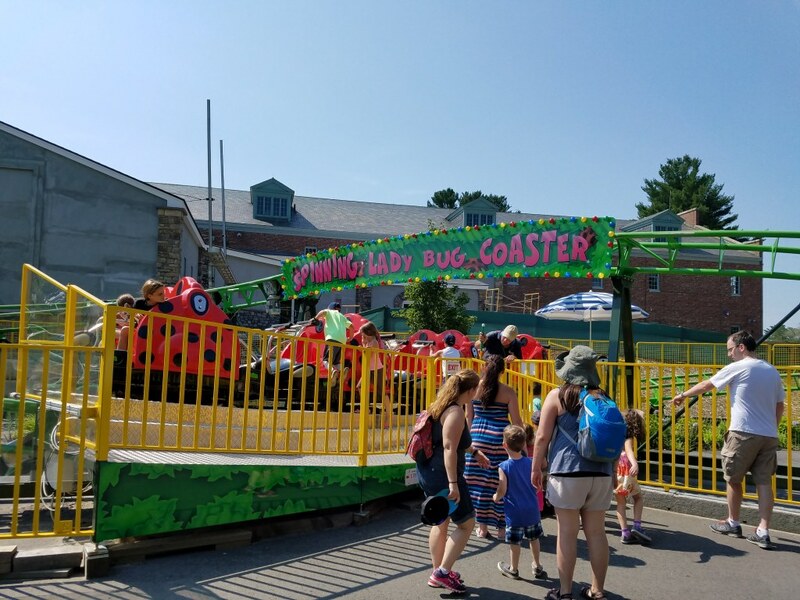 I’d rate it up there with a permanent carnival/fair type of amusement park. 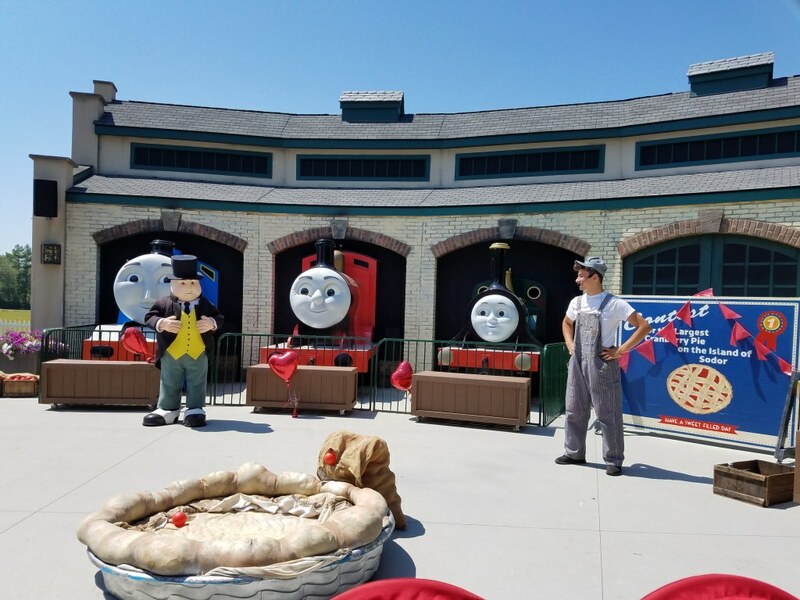 Someone recently got the brilliant idea to add Thomas Land and Dino Land to the park though and whoever that was deserves a medal. 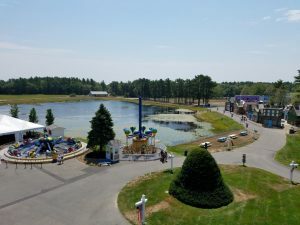 It took a ho hum amusement park in the middle of nowhere into an amazing destination. 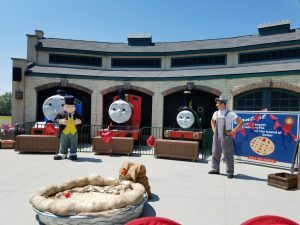 Thomas Land just opened in 2005 and is a very clean, cute, well thought out little park for train lovers out there. 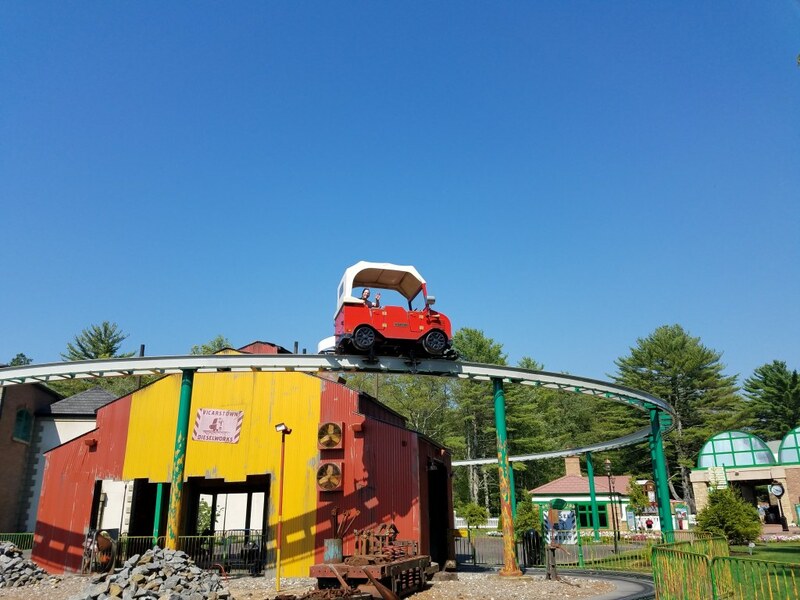 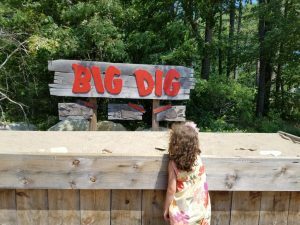 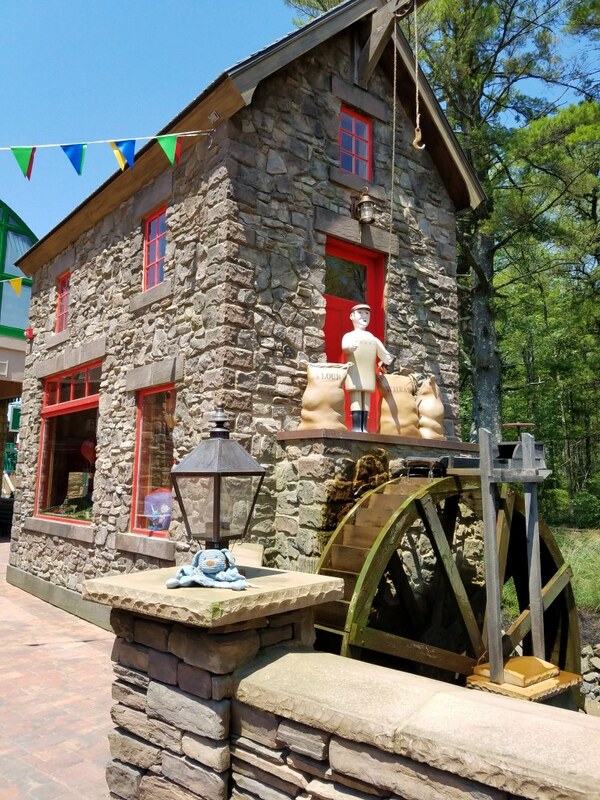 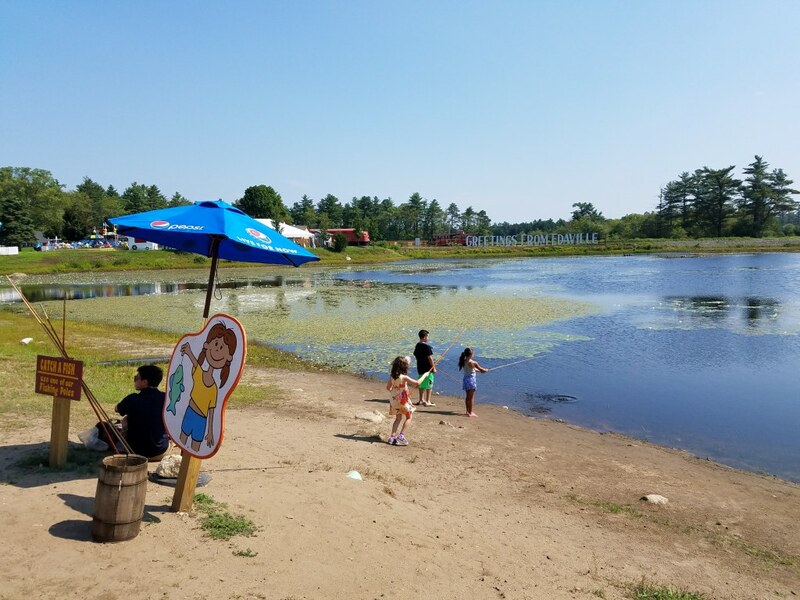 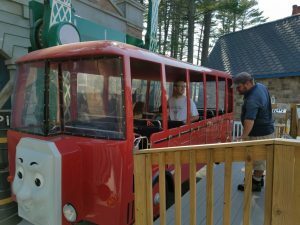 It has 11 different Thomas and friend themed rides, a show with talking trains, and you can even ride Thomas the Tank Engine through the woods and cranberry bogs. 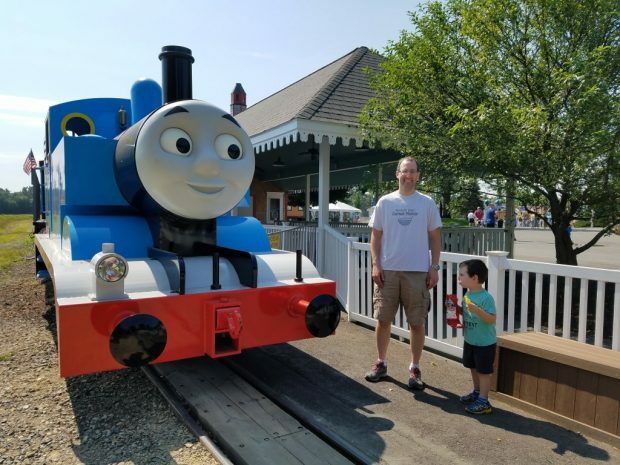 Thomas leaves the station every hour on the hour so you can’t miss him! 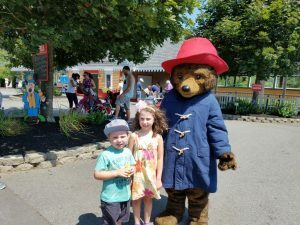 Sir Tophalm Hat makes an appearance at the show and then lines up for a photo meet and greet afterwards. 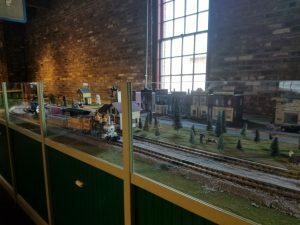 You can also take photos at the Tidmouth Sheds with a lot of the other popular trains. 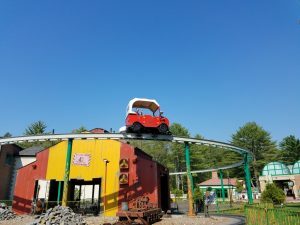 The rides are very toddler-friendly and great for families. 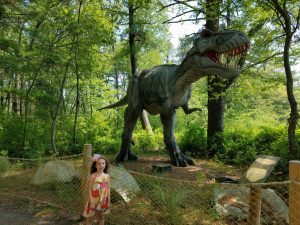 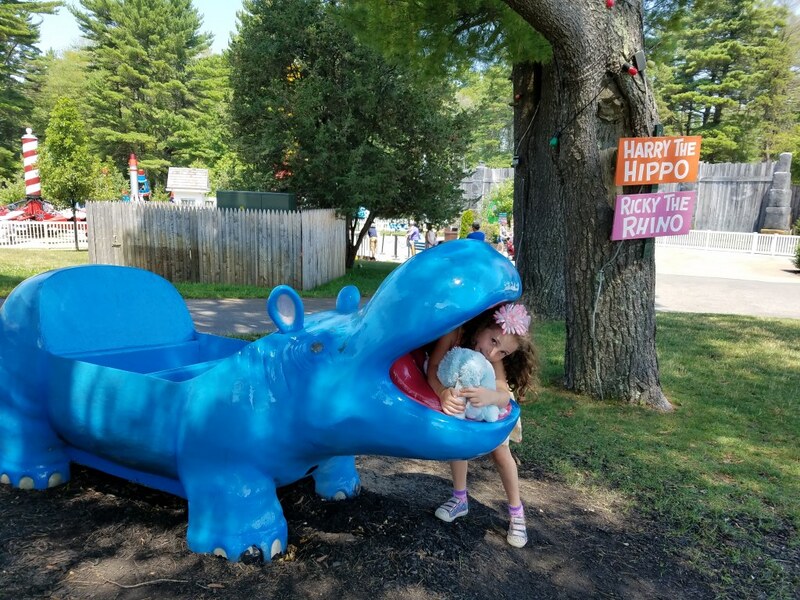 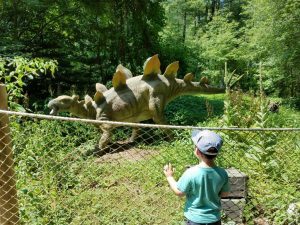 Next door to Thoms Land is Dino Land; a short nature trail lined with 23 life-size animatronic dinosaurs moving and roaring. The kids loved running down the path through the woods to see which dinosaur would be next. It was a nice break from the whirly twirly dizzy rides. 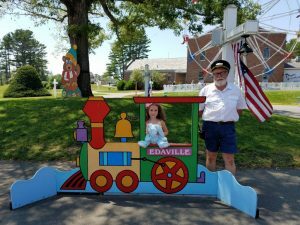 Edaville Proper has dozens of rides in and of itself. Most things are geared towards kids aged 4-10, but there was plenty for my 3-year-old to do to keep him happy. 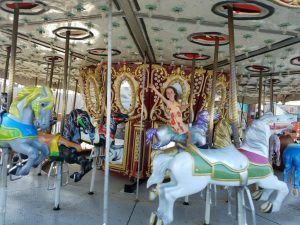 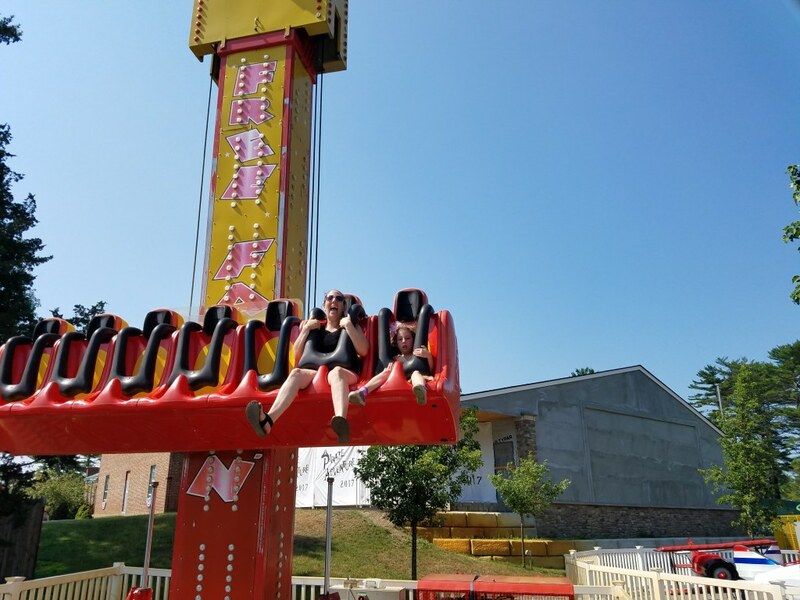 We made sure to test out each of the rides and my husband took one for the team as he twirled, whirled, spun and whizzed through the park with the kids. 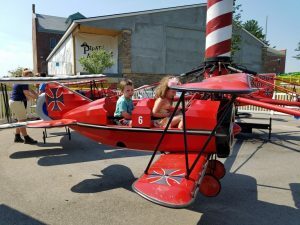 I was a trooper and stayed on flat ground to take photos and watch the stroller. 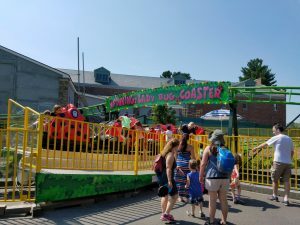 Honestly, though, the park is for young kids, nothing too crazy in terms of rides. 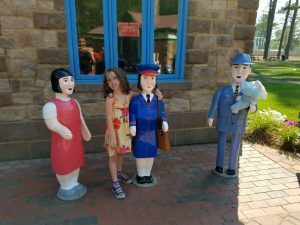 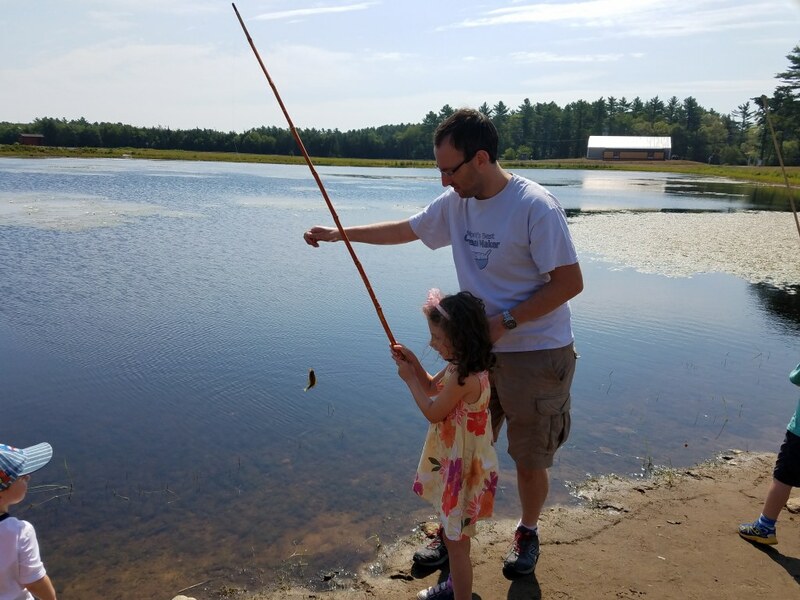 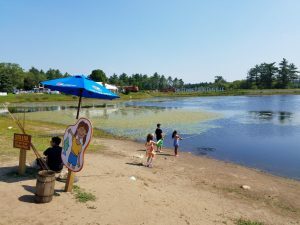 The park had a few other cute aspects such as a station for kids to go fishing, a large model train display and a cool down station. 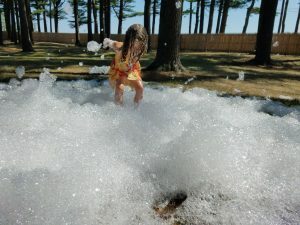 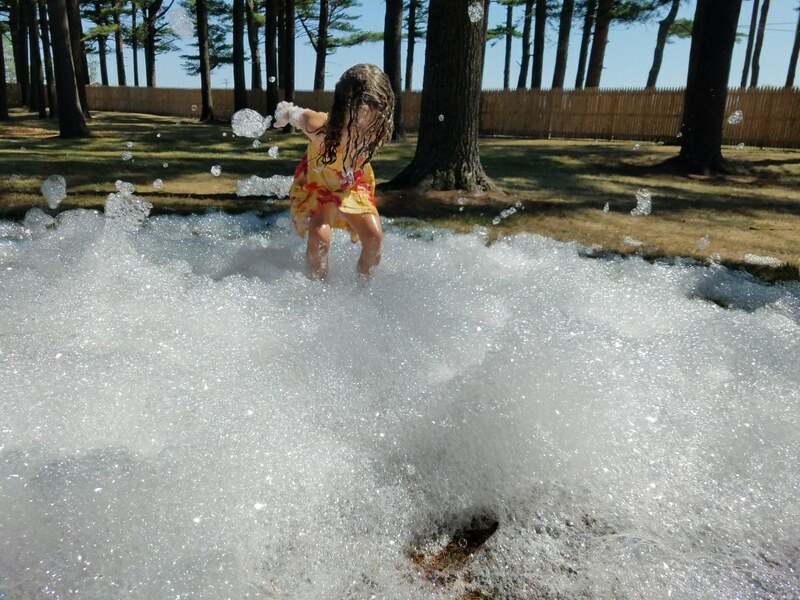 Being that it was a 95 degree day and there was virtually no water rides/splash pads, the park got smart and set up a bubble station and misting station in the woods to take a break from the heat. 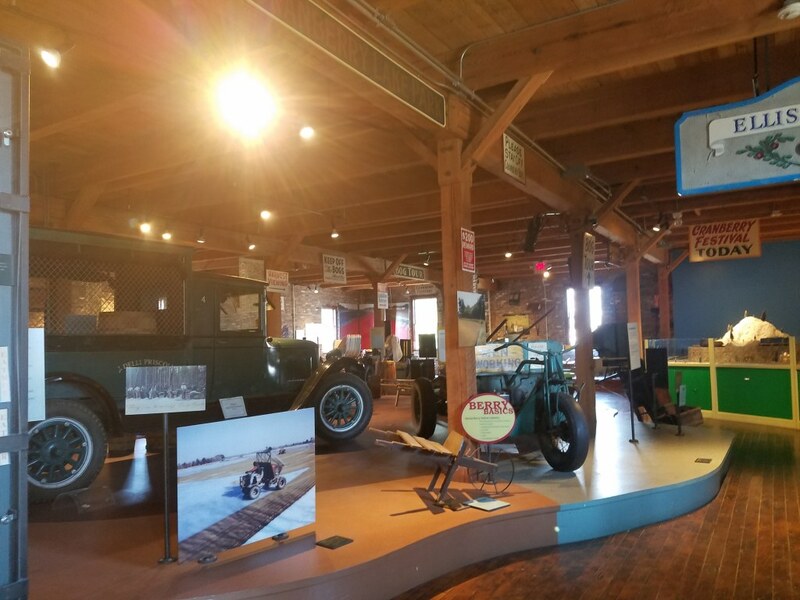 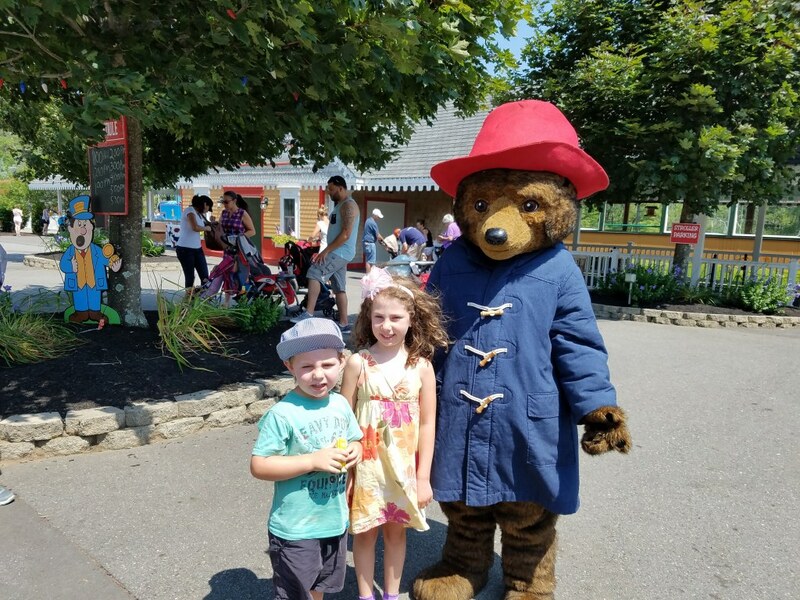 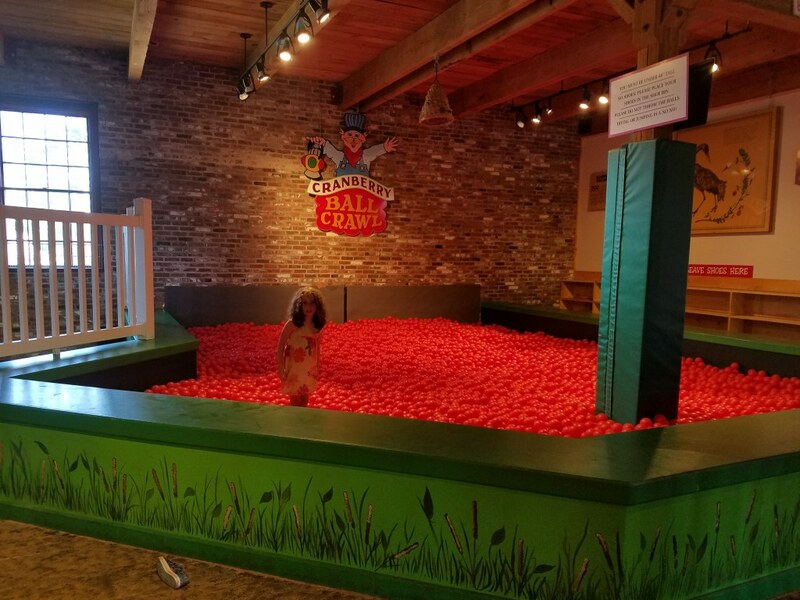 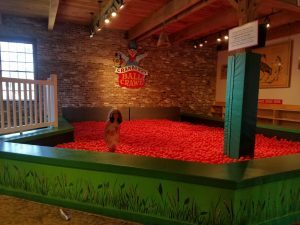 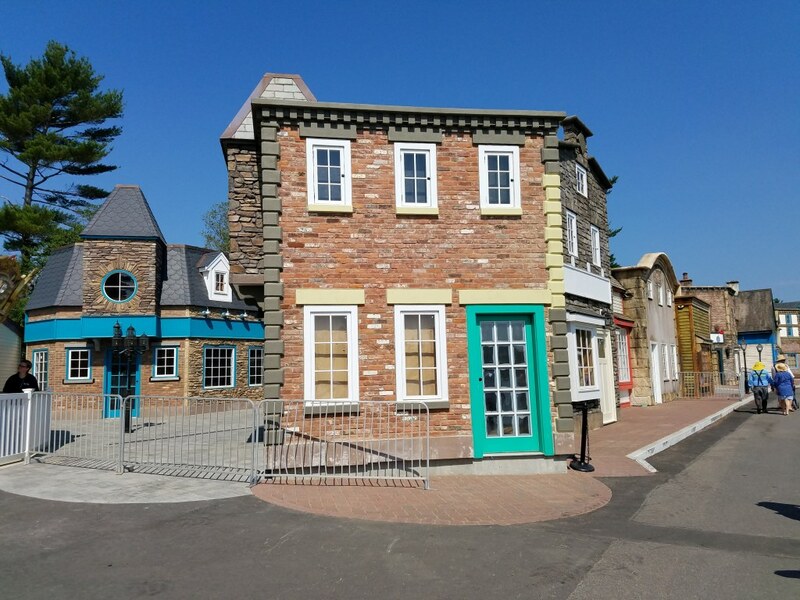 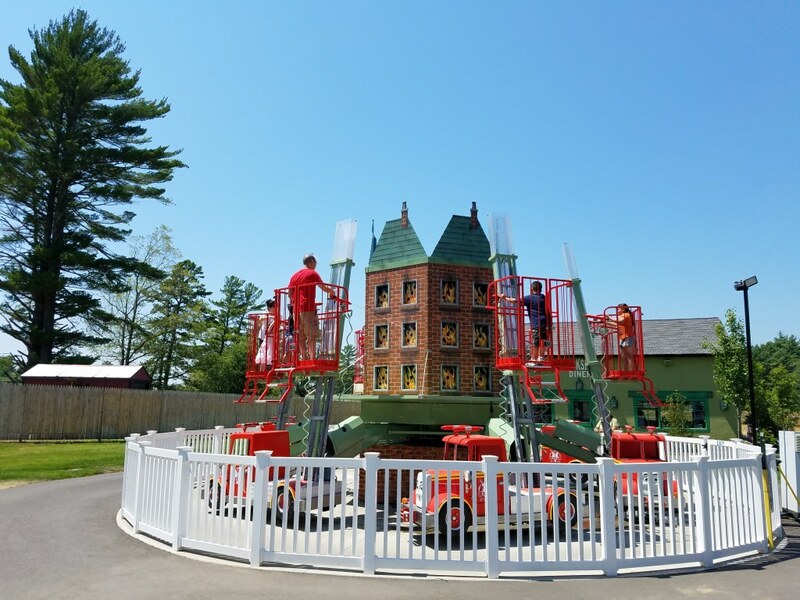 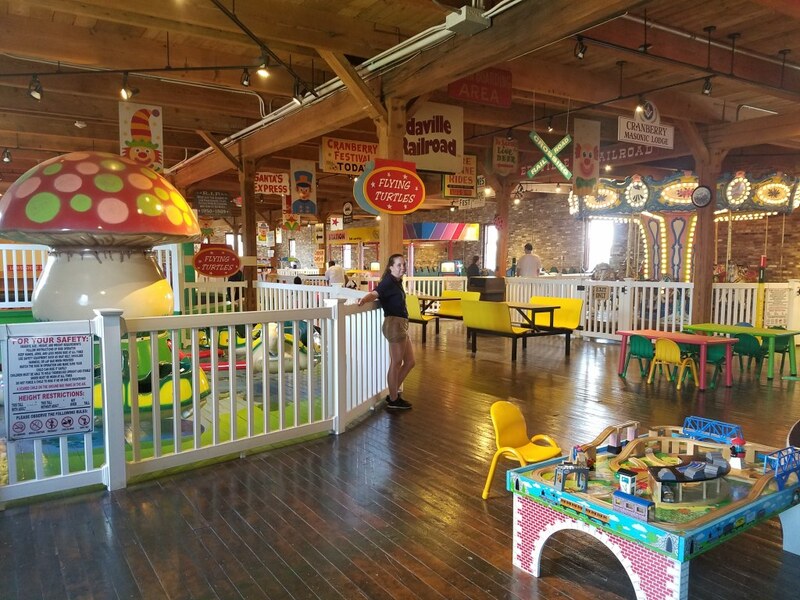 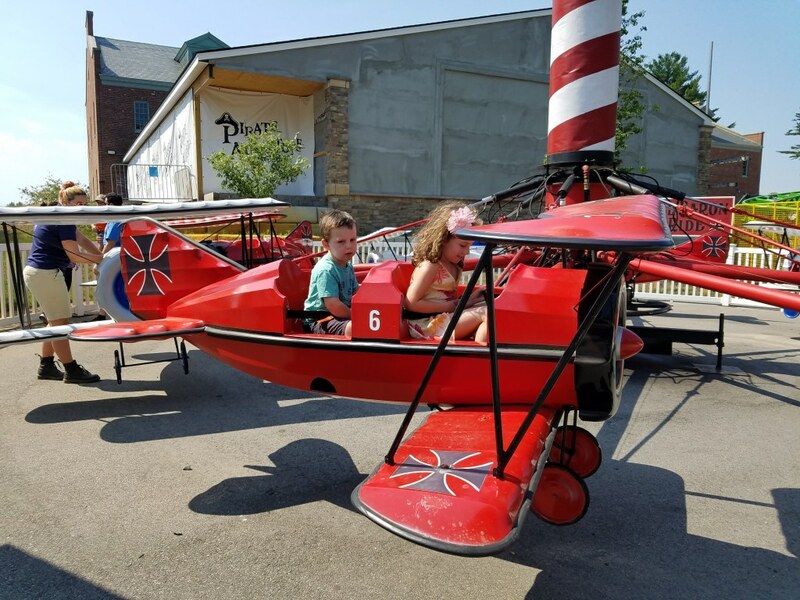 Make sure to check out the inside of the brick building for more rides, a ball pit, bumper cars, model train display, cranberry history and more! 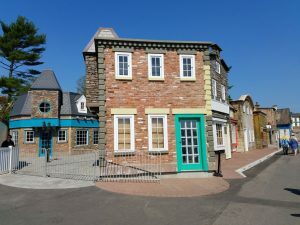 The park is currently under construction in a variety of places as they are building it up left and right. We can’t wait to return to see what’s new. 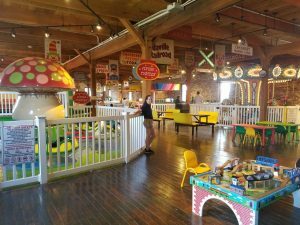 it was very clean, staff was extremely friendly and we never once waited in line!